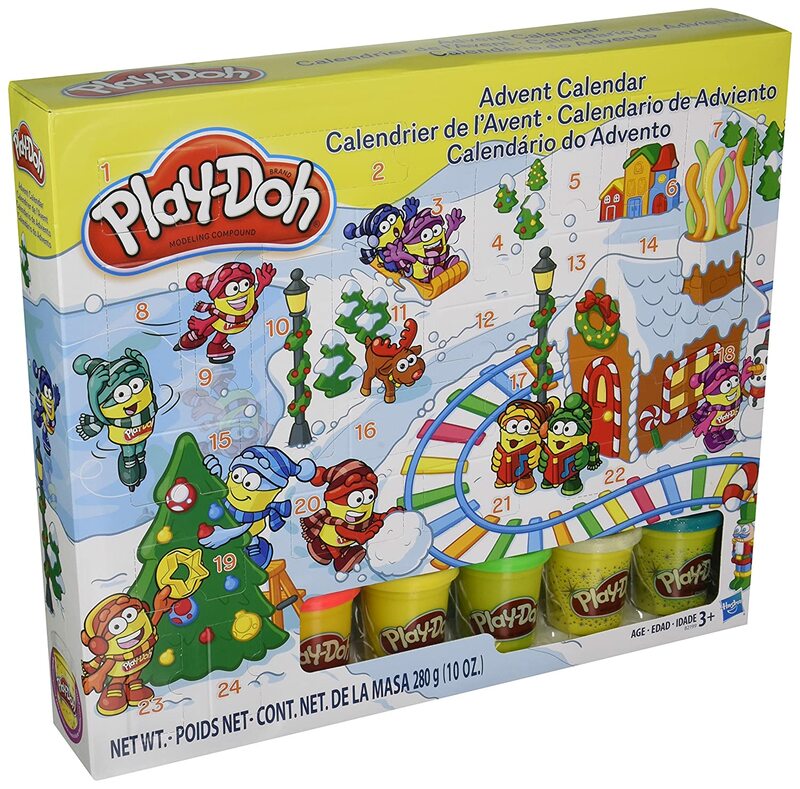 A special Advent calendar for kids is an item that parents, grandparents and other family members can buy which sometimes means that children end up getting more than one. 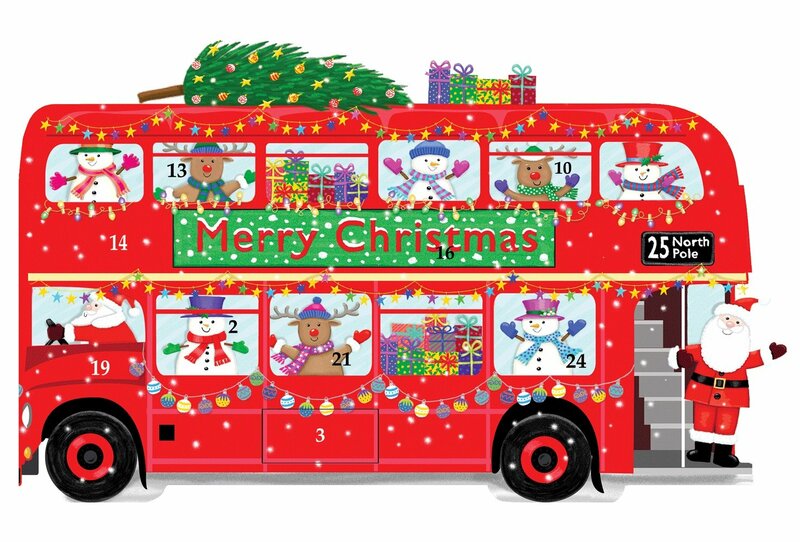 Counting down the days in December all the way to Christmas Day is a very exciting time for a child. The waiting and the anticipation is almost as good as the day itself. As a mom to a young girl myself, I'm very aware of how valuable it can be to give children a visual countdown. Children like to see for themselves that gradual move towards the 25th. Getting more than one calendar has happened to us plenty of times but that just makes the countdown double or even triple the fun. 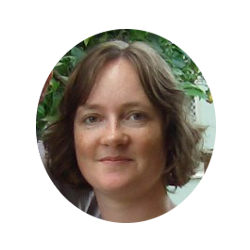 This is the perfect time to get younger boys and girls interested in numbers and dates. There is nothing quite like the fast approaching festive season to encourage their counting and number skills. 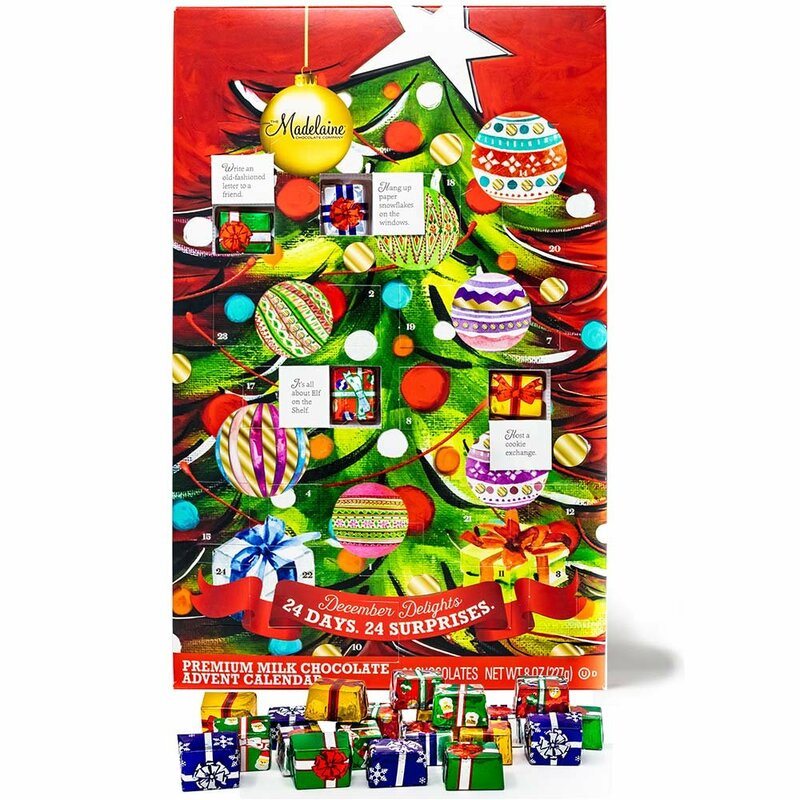 ⭐ There are plenty of wonderful Advent calendars for kids to choose from but what sort will you want. There are pop-up versions, permanent and wooden designs, ones filled with chocolate and candy, traditional nativity scenes and sticker and activity versions. It's also a good time of the year for kids to learn all about the months of the year. 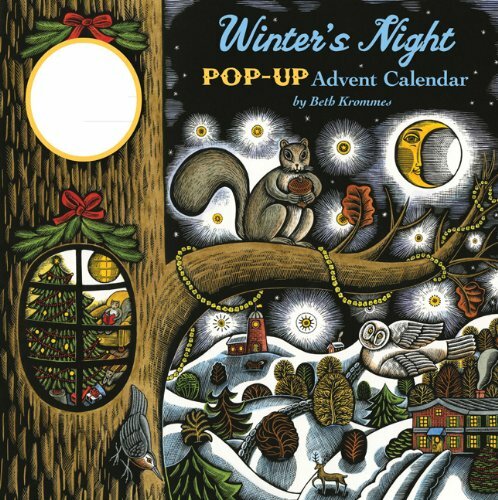 The Advent calendar tradition can help kids to learn how many days are in each month. Why not teach them the months of the year rhyme. 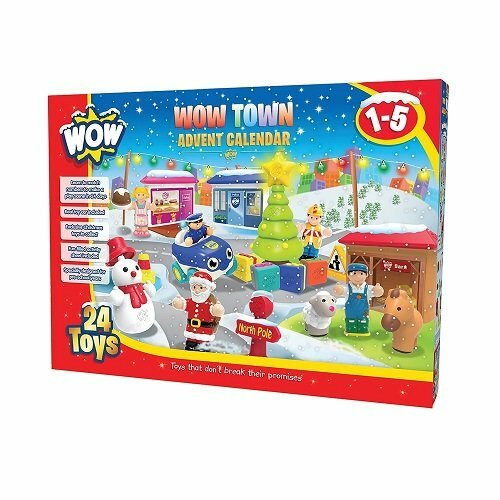 With this Playmobil Advent calendar toy, you get a cardboard backdrop scene with little play items that work with it for the 24 days leading up until Christmas day. 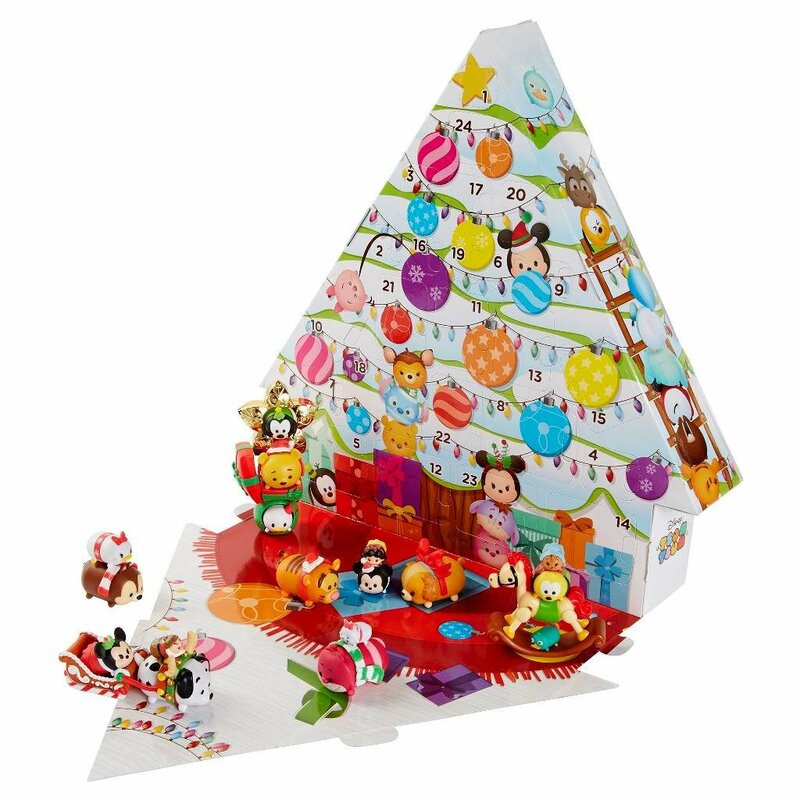 The fun play scene makes a festive backdrop you can set out on a table as a display. This set of toys are based on a farm and include Santa, an angel, lots of farm animals, a tractor, cart and bird house. ⭐ The best thing about Playmobil designs is that all the collected toys can be played with long after Christmas is over too. Playmobil toys are not ones that you will want to throw away. More Playmobil Advent Calendars Here. 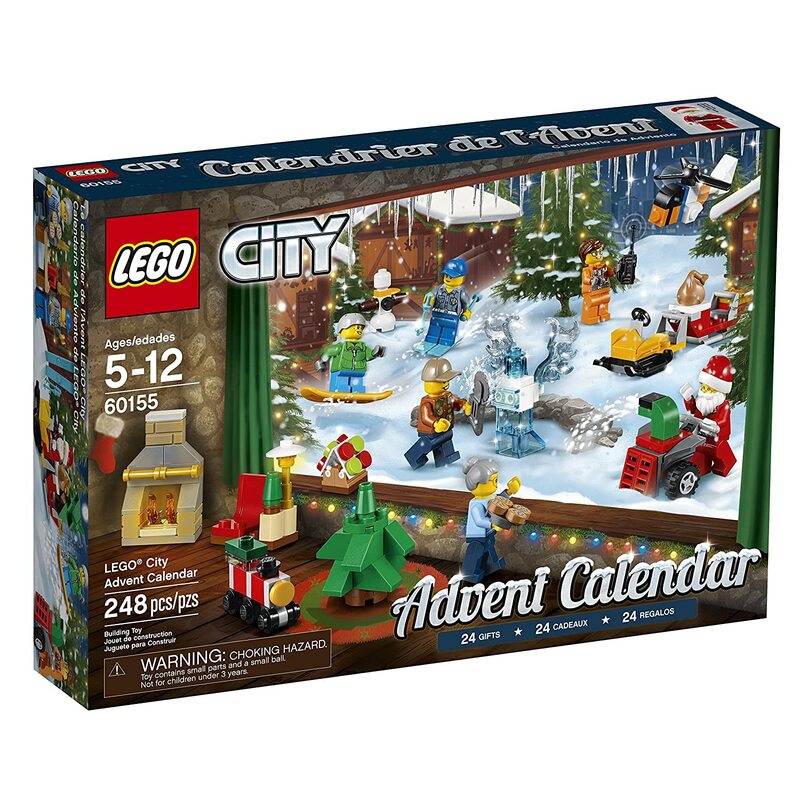 Due to tiny parts and my own experience with these items, I would personally recommend a minimum age of 5 for their Advent calendar designs. 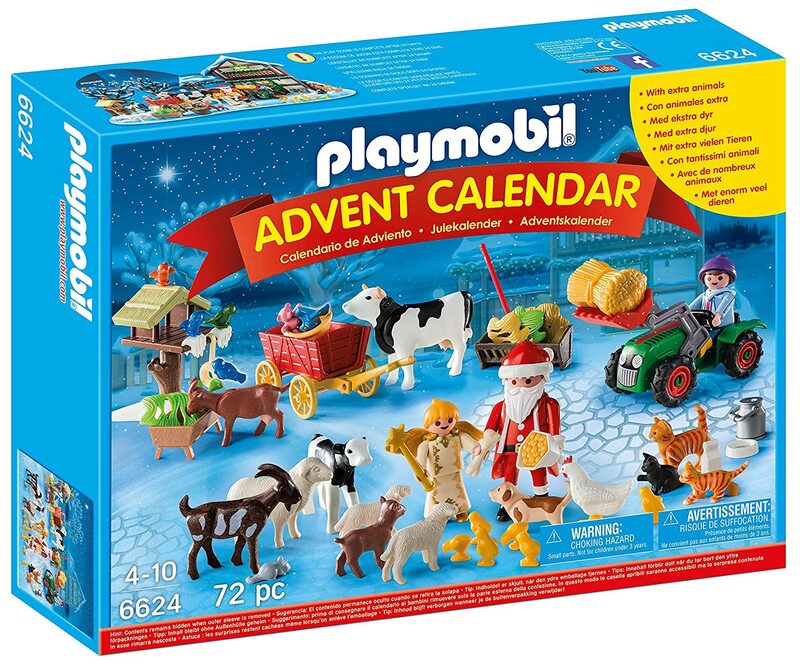 Santa's Workshop, now discontinued, is another Playmobil Advent calendar which is based on a festive Santa scene. Children who love everything Christmas should really enjoy this. There are lots of magical toys in this set including the Reindeer, Sleigh, Elves, Toys, Gifts and more. And a wonderful Santa or Father Christmas and Angel figure too. This toy countdown set really seems to capture the magic of the season. Chocolate filled calendars were always the type that my family had when I was a child. I remember looking forward to this small piece of chocolate every morning, especially as we would not normally get to eat any chocolate before breakfast time. The chocolate candy is often rather small and not normally enough to cause undue worry just once a year. In this case, each piece is individually wrapped in foil making it look like a little gift to open. I really love the charming scene on an advent calendar (not shown) which features a festive village toy shop design in the winter season. There are children standing outside and looking in longingly at all the toys in the windows. There is a whole lot to enjoy in the traditional and colorful scene. It is one which should appeal to younger girls and boys who, of course, are already very excited about what toys Father Christmas or Santa Claus might bring. Sticker fans should love opening a door to get a new sticker to add to the gorgeous winter woodland scene every day. This one is beautifully illustrated and is a fun way to countdown the days without the need for any sweet, sugary candy or chocolate treats. 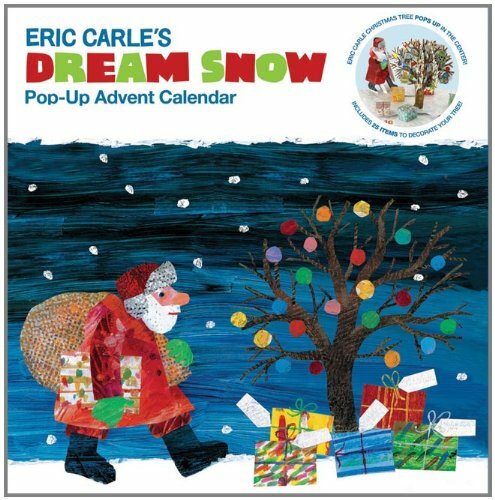 Here's a cute snow Santa pop-up scene called Eric Carle's Dream Snow which will lie flat on a table or a shelf. This should make for a really good festive centerpiece and especially for a fan of the Eric Carle, Very Hungry Caterpillar, range of books. Kids can delight in finding little ornaments behind the doors and decorating the pop-up tree with them. This looks to be a fantastic piece of paper art. The appeal of Hello Kitty is one that can last well into adulthood since Kitty White is quite literally the cutest cat in town. 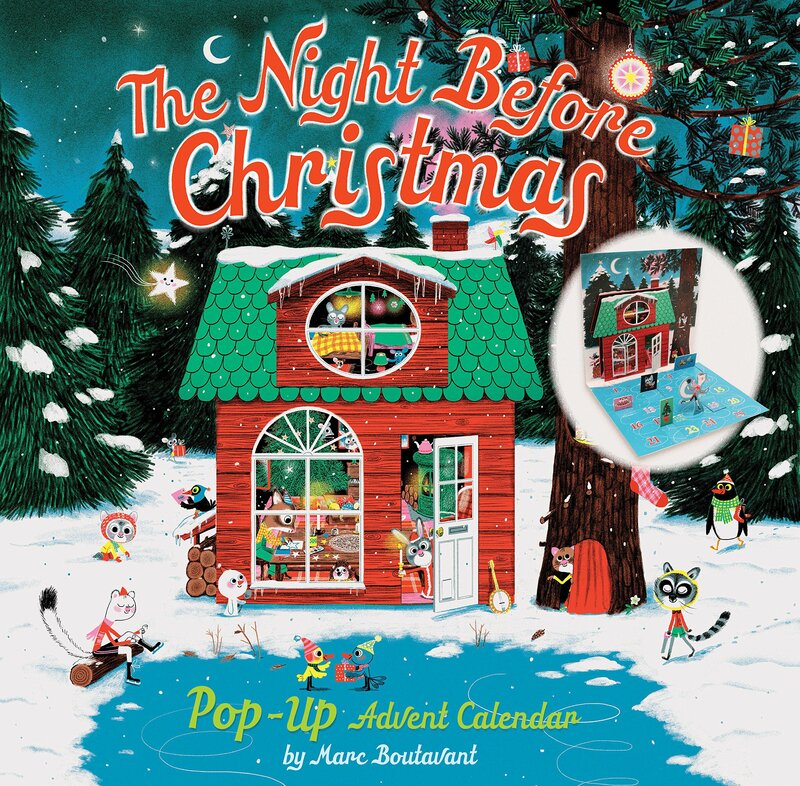 This cool cat has a pop-up design calendar design which lies flat on a table or shelf. 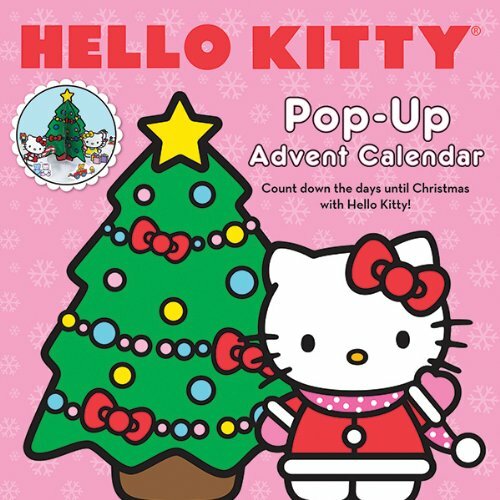 It has a fold-out Christmas tree in the middle with Hello Kitty and her friends. Each window flap can be pulled back in December to reveal a fun scene. Girls might enjoy keeping this one in their bedroom to open every morning. What a fun looking way for kids to count down the days until Christmas. My daughter's had loads of wooden Melissa and Doug toys and she's always enjoyed them very much. This design looks easy for children to use. Simply pick an ornament from the tray at the bottom and place it on to the correct number where it will hold in place thanks to the magnetic design. It can be re-used year after year. This design should please parents looking for something cute for younger kids down the secular, non-candy, no-chocolate, no toys route. Are the children into crafts? A crafty child may enjoy making and decorating their own re-usable felt Christmas tree calendar with pockets by Alex Toys. The felt tree is pre-sewn already so that part is made and there are 150 peel and stick felt shapes for decorating the tree with. This will make a great pre-December family craft. Alternatively, an older child would be able to complete this without any supervision. Once it is decorated, parents can decide what to fill the pockets with each year. And it makes a great hanging decoration too. There is also a fabric Nativity Advent calendar. Each little pocket around the design holds a character or an animal that can be pulled out on the corresponding day and place somewhere on the Nativity scene. This is an excellent choice for an item that can be used year after year as well as being a good teaching aid for the true religious meaning of Christmas. One of my favorite choices is this beautiful looking unicorn fairyland calendar and play set. Playmobil is traditionally more of a European toy. I think the quality is right up there with Lego since the pieces are also made from a hard and virtually indestructible plastic. We even use the Noah's Ark from this range in the water as a bath toy and it has been fine getting it wet over a number of years. My daughter loves this brand so I know exactly how much fun the sets are. 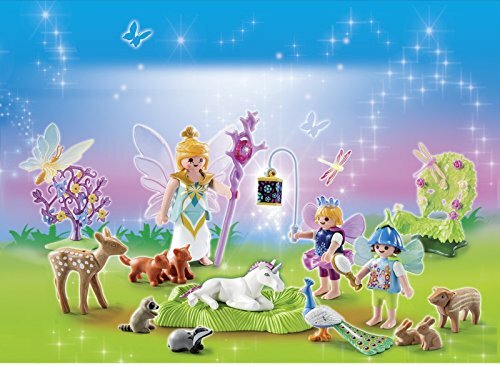 There is a pretty looking cardboard box with a fairy scene on it where the child can open a new window and get a piece of actual Playmobil to play with. The fold out display scene is made out of cardboard and can be used as a backdrop for the toy pieces that are being discovered every day. It looks like it will make for many little surprises for any child who is totally into cute things. Bear in mind that as with Lego bricks, there will be small pieces included in the toy sets. The age range says 4-10 but I would say it's probably better for age 5 and upwards. This is when my daughter took a much bigger interest in smaller play figures like this and had stopped putting things in her mouth. One great way to teach children about the real meaning and message of Christmas is to get a nativity scene countdown calendar because you can enjoy discussions about the scene and the birth of baby Jesus. That can help to keep kids focused on the religious meaning of the season and let them enjoy a small treat at the same time.